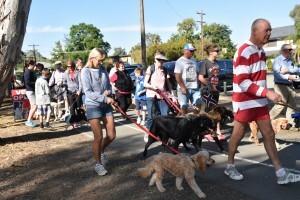 The sun was out in all its glory as dog lovers stretched their legs and filled their lungs with fresh country air on Sunday for our Campaspe Dog Walk in Echuca. The good vibes continued as adoptions followed at our regional shelter. 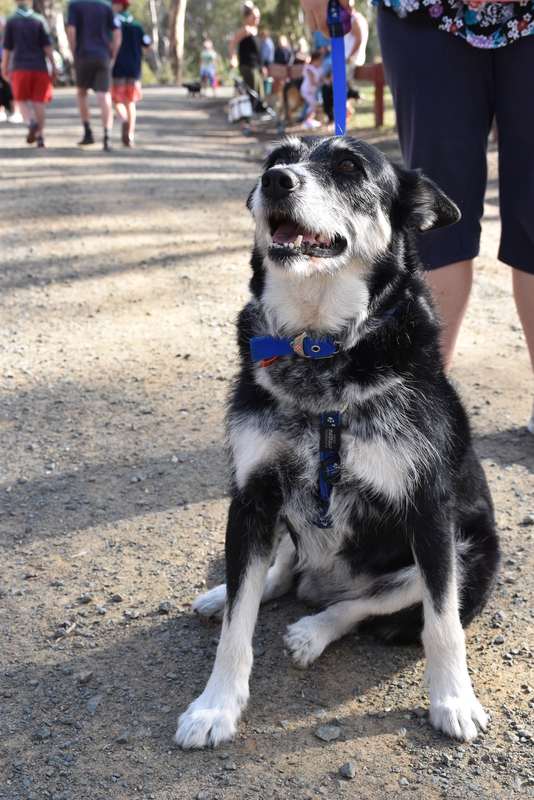 With their best pals by their side, over 100 dog lovers walked the picturesque Campaspe River and took part in activities at Lions Park Reserve. All adoption candidates received plenty of attention, while the Gallimore family had their hearts set on 10-month-old King Charles Cavalier mix Charley, adopting him on Monday afternoon. 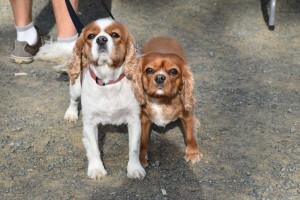 “Already owners of a gorgeous Cavalier, I think Charley — now named Dax — has found her perfect home. They adore her and I am certain she will be showered with plenty of love! Having their photo taken by the local paper, was proud adopter and regular pen pal of the shelter John: “I adopted Roffie back in November 2013 after I sadly lost my previous dog I cherished dearly. Across at the Canine Café, four-legged ‘coffee’ connoisseurs enjoyed beef and lamb flavoured puppy chinos thanks to Rose’s Veterinary Clinic, while their owners were kept full and hydrated thanks to Maximum Coffee and the Echuca First Scouts sausage sizzle. 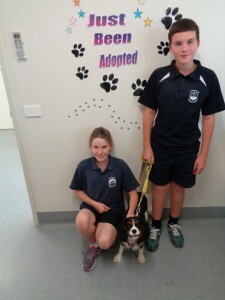 A few potential adopters visited our Campaspe Shelter yesterday while a total of three adoptions by the end of the day. Twenty-two talented canines were entered into the dog show. The winner of the Best Trick was a clever Golden Retriever who sat, waited, walked and finally gave his owner a hug on command. Best Costume went to a stylish Staffie sporting a classic summer look — denim shorts and white T-shirt. While, the Best Owner Look-a-Like category was taken out by a Staffie and fans of the Geelong Football Club, with both sporting a Cats footie jersey. A total of 27 dog’s microchips were checked. A service run by National Pet Register, ChipChecker helps owners check that that pet’s microchip is working and that the contact details on their pet’s microchip is current. Charitable children made enrichment toys which will go towards keeping our shelter cats and dogs entertained for hours. We received a few applications and welcome more! Find out how you can become a volunteer at our Echuca shelter by contact our volunteer coordinator. Our biggest thanks to all those who participated and donated at the event! 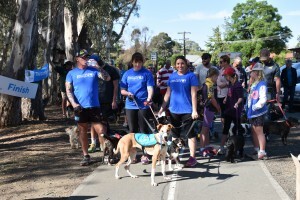 All funds raised from the event will go towards caring for over 1500 lost and abandoned cats and dogs that come into our Campaspe Shelter’s care each year, while giving unwanted pets a fresh start to life. Big thanks also to the following local businesses and community organisations who have generously supported the event: Shire of Campaspe, Rose’s Veterinary Practice, ACE dogs, Unleashed Photography, Echuca/Moama Veterinary Clinic, PetStock Echuca, Bunnings, Maximum Coffee, Echuca 1st Scouts, Pampered Paws and Kyabram Vets.